Meditation is a tool to gain greater peace and tranquility in your life. It is a great way to cope with the many changes that are occurring today or any day. This is an introduction and it is not meant to be all inclusive so please explore further when you are done here. These are tools that I know and use on a daily basis. First we must understand what I am talking about when I say meditation. I mean a state of being relaxed, peaceful, and harmonious with your surroundings. It is a state of deep mind relaxation where the brain is in an alpha brain wave form. It’s purpose is to simply deepen your connection to Spirit by moving ‘you’ out of ‘your’ way. Meditation does not have to be complicated! It is the simplest thing in the world and the great part is that we all do it whether we realize it or not! Let me give you an example of how we all use meditation. Have you ever been doing something repetitive that you do all the time and just drift off into a waking dream like state? Or maybe you are standing at the supermarket in a long line of customers and your mind drifts off into space. If you noticed how you feel at that moment it would be relaxed, calm, and at peace. We often pass through this place in boredom. It is a feeling of being connected to something greater than yourself. 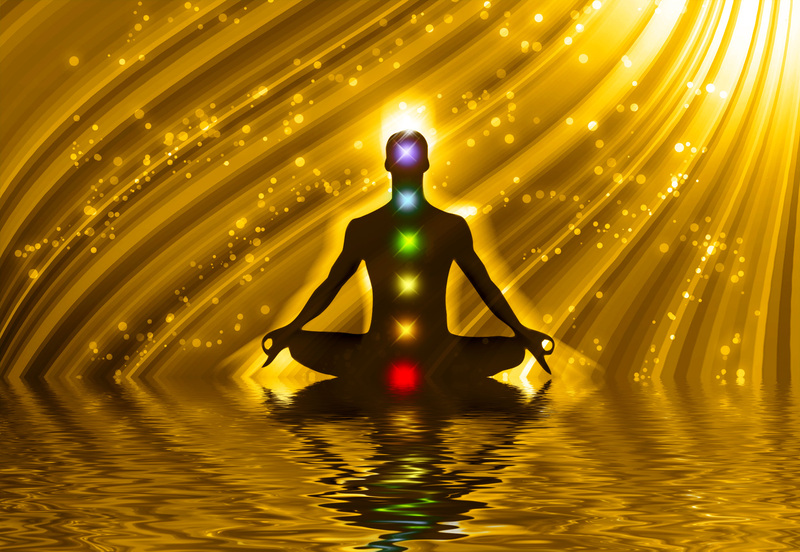 Meditation is a great feeling that supports your physical, mental, and spiritual health. To put yourself into a meditative state takes very little knowledge and only a little practice. Start with getting comfortable and slow your breathing down. Focus on slow even breaths with a pause in between. As you do this consciously, relax each muscle in your body starting either at the top or bottom and working all the way through your body. It will feel like a wave of relaxation is sweeping though you! If you have ever laid on the beach in the waves or floated in the wave pool you can use that memory to help. Just keep it smooth, slow, and relaxing. Close your eyes softly but do not get too comfortable because you do not want to fall asleep. If you do, that is Ok, just try again next time. Thoughts will be bouncing around in your head and that is normal, just let them go and instead focus on something peaceful. A flame, a statue, a photo, a blank wall, a spinning tire or whatever is present can be used as a point of focus. Now that you have your comfy spot, slow breath, relaxed muscles, and point of focus just let go and allow your mind to relax. Do not “try” to focus, just be gentle and soft with your focus. As you relax pay attention to your body, feel your breath, notice how the seat feels, be in your body completely. Meditate for about 5mins. to start with and work up to 30mins. or an hour depending on the amount of time you wish to invest in this activity. Yes, even meditation is an activity, because technically it is not possible to do nothing or you would not exist! Meditation can take place just about anywhere. Here are a few suggestions, try a ‘waking’ meditation the next time you are in a stressful situation. Stop right where you are for 10 seconds and take a deep breath and allow your body to relax. Now go back to what you were doing and feel the difference. Walking meditation is one of my favorites since I walk often as a form of exercise. Take slow deliberate steps, let your mind go and focus on something peaceful. Feel your body moving through the space, the wind blowing on your face, the sun shining, leaves rustling, be totally present. Breathe slowly and deeply feeling your diaphragm move up and down. When you finish your walk notice how you feel. I mentioned the work meditation earlier, and basically just do the same things as you do with a walking meditation just do it while you work, or sit in the car on a long trip (someone else is driving). Do this while you are on trip or simply at home for the evening. Soft music is fine if it has no vocals and can help to set the mood, just be careful about getting too relaxed, this is not about snoozing. Driving meditation works too. It involves simply letting go and relaxing while focusing on the road ahead. Many of us do this without even thinking about it, the only difference is you are now making it a conscious exercise. Think of all the things that are going perfectly in your life, the good times you have had, or count your blessings. Use your time alone constructively. Remember that Meditation is just a relaxed state where you feel at peace. If you choose to make it difficult and want to do it the way a Buddhist Master would do, then I suggest looking into ‘Binaural Beat Meditation’ by searching on the internet. Blessings on your journey of Love!